Have you found yourself in a position were you don’t receive the service you expected due to obscure Terms & Conditions? I have, a few times just with my Internet Service Providers. In Toastmasters we also have Terms & Conditions and more often than you may think, these affect your member experience. If you signed your membership application form diligently you’d remember the text By my signature below, I agree to the terms of A Toastmaster’s Promise and the Member’s Agreement and Release stated above, and certify that I am 18 years of age or older (in compliance with the Toastmasters Club Constitution for Clubs of Toastmasters International). During your formal induction in your club, you would have repeated the Promise before your club members. 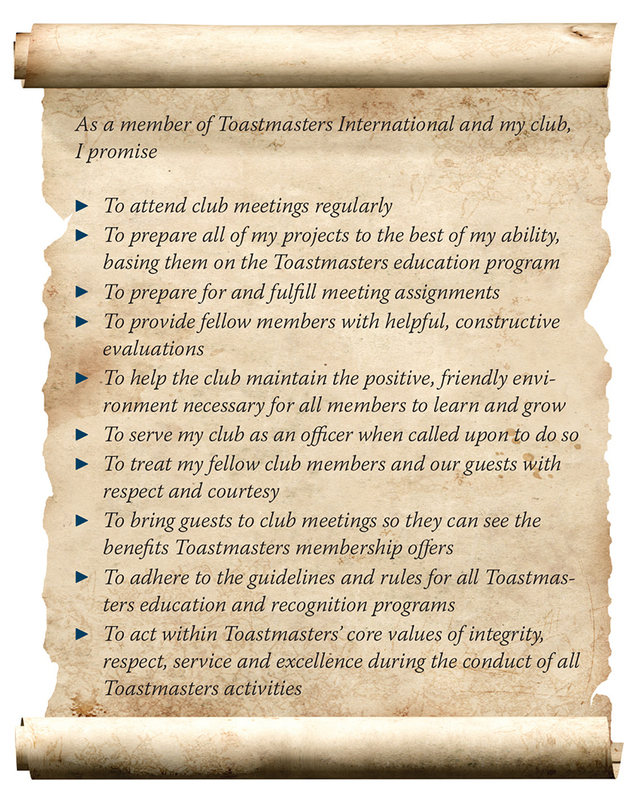 At Maputo Toastmasters, Past President Jermaine Lewis would have club members repeat this “pledge” at every club meeting to remind them of their commitment to the club. Our (Brand) Promise to you as an organisation is to prepare you for your professional or personal assignments. To do this successfully, your club requires you to keep your Promise as a member as we rely on collective effort as an organisation to deliver on our promise to you. I thought I would share this with you as you consider renewing your commitment with your club. Before you miss a club meeting without good reason, or go to a meeting without fully preparing for your assignment or any of the other aspects included in the Toastmasters Promise, consider how this affects the experience of your fellow members. To get the most out of your Toastmasters membership, Terms & Conditions apply. On A Point – Trademark Edition On A Point – Reward Edition On A Point – New Beginnings Edition Bleeps and Blunders! Did you Know? – First cut is really deep! Presentation skills tip – Become your own audience!